News: WHAT IS THE N.I.E ? - Those obtaining any kind of stay extension or document that enables them to remain on Spanish territory. - Those involved in an administrative record by virtue of the provisions laid down in legislation governing aliens. - Those who, for economic, professional or social interests, hold relations with Spain. Given the privileged system for the permanence and residency of European Union citizens in Spain, the general way in which they obtain their NIE is by applying for it when they hold relations with Spain as a result of their economic, professional or social interests. The NIE is the number that identifies the European citizen in Spain and must appear on all the documents that are issued or processed, as well as on all the application forms addressed to the administration and on a significant number of documents by and between private entities (banks, insurance companies, etc.). -Passport. Both issued by the authorities of his/her country of origin and duly in force. - Optionally, but highly recommended, the Spanish residency card, which is not compulsory but does enable proceedings with regard to private entities. WHAT DO I NEED THE NIE FOR? - Buying or selling a home. - Signing a mortgage loan. - Property register and Notaries Public Offices. - Local: census; certificates of occupancy of the home; property tax; vehicle tax; capital gains; works licences, business opening licences, etc. - Justice: civil register, free legal assistance, etc. - Health: health care card. -Obtaining a social security number. -Applying for services from the INEM (Spanish employment institute). -Exportation of unemployment benefits from a Member State of the European Economic Space. -Opening an account in a bank. -Setting up a business or enterprise. -Settling state and regional taxes: Income tax for non-residents (IRNR); corporate tax (IS); value-added tax (IVA, VAT); inheritance and gift tax (ISD), etc. -Schools for minors, academic studies or university studies. -Approval and certification of titles and studies. -Grants and subsidies for studies. -Electricity and water supply contracts. WHERE AND HOW CAN I APPLY FOR THE NIE? You can apply for the NIE once you are in Spain or in your country of origin through the corresponding Spanish consulate. If you decide to apply for the NIE in Spain, you should do so at the police station nearest to your home. - Personal details (first name, surname(s), place of birth, etc.). - Address in Spain, where applicable, or address in your country. - The reason why the document is being applied for: economic, professional or social. In addition, exact details must be given of why the NIE is necessary, identifying the Administration, entity or individual that requires it, providing the corresponding documentary proof. - Passport, national ID document in force in your country. - Documentation certifying the need for obtaining the NIE (administrative form, bank form, etc.). -In the case of relatives of a European Union citizen, whose nationality is that of a non-Member State of the EU or the European Economic Space, the Community residency card must be applied for first. The application can be made in Spain through a representative, who must certify his/her power of representation by means of a general or special power formalised before a notary public, and the documentation showing the reason why the application is being made for the NIE must also be presented. The person must also include his/her details on the application (EX-15 form) and sign it. In any case, it is best to present the application personally, even though you are accompanied by your adviser, since this avoids expense and possible identification problems. Both the application or form and the certificate bearing the identification number are free of charge as far as the Administration is concerned. Once the NIE application has been made, the certificate will be delivered to the interested party in person in the approximate term of two weeks. If you decide to apply for the NIE from outside Spain, you must personally visit the corresponding Spanish consulate or embassy in your country of residence. You must also present the EX-15 form, which must be signed in the presence of the Spanish officers. The form is not available at the embassy or consulate and must be downloaded from the aforementioned webpage. You must also provide your current passport. The officers will make a copy of the passport and legalise it and you will have to pay the fee corresponding to the legalisation. In principle, as citizens of the European Union, you do not have to present the documents that justify the NIE application, although it is recommendable for them to be included. The embassy or consulate will not issue the NIE, they will simply process your application to the Dirección General d la Policía (General Department of Police) in Spain. Consequently, they will not be able to provide you with any information about the status of your application. If you have any query, you must address the Comisaría General de Extranjería y Documentación (General Department of Aliens and Documentation). Act 4/2000, of 11 January, governing the rights and freedoms of foreigners in Spain and their social integration. Royal Decree 2393/2004, of 30 December, which adopts the regulations of Organic Statute 4/2000. Royal Decree 178/2003, of 14 February, governing the entry and permanence in Spain of nationals from Member States of the European Union and other states subscribing to the agreement on the European Economic Space. For when the application is made outside Spain. Open to the public from Monday to Friday, 09:00 to 14:00. 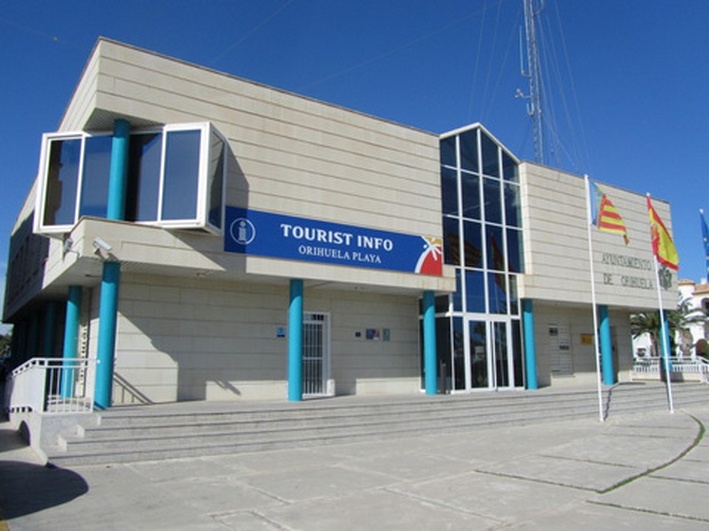 Ayuntamiento de Teulada (en el servicio que el Cuerpo Nacional de Policia tiene habilitado en el ayuntamiento).